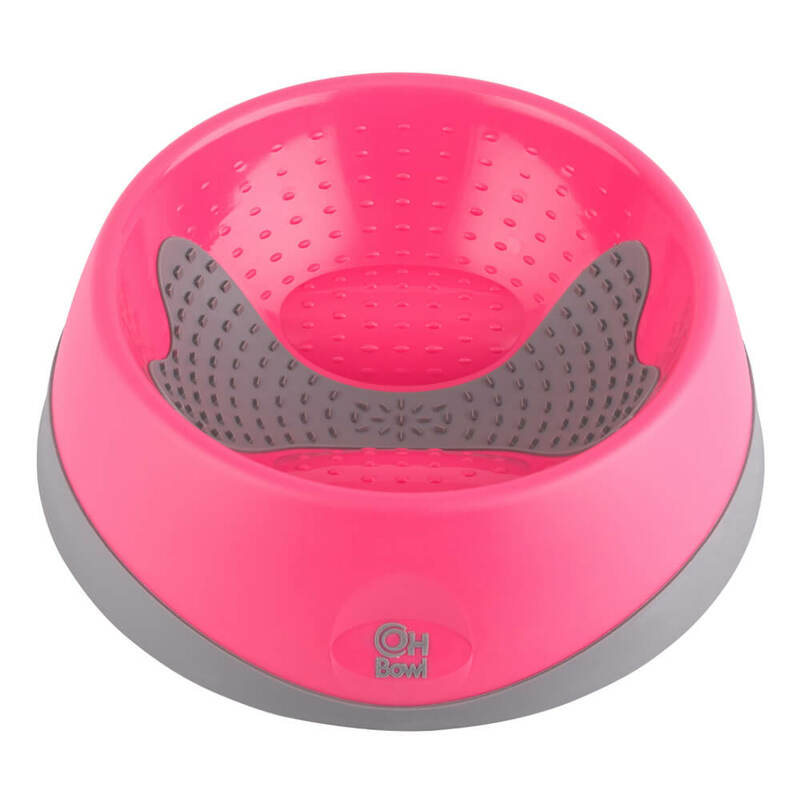 No other company has developed a pet bowl to help clean teeth, gums and mouth after every mealtime. The gentle texture surface encourages licking when the food is gone. This helps scrape bacteria of the tongue, which is where most of the bugs live. This action also stimulates saliva which is a natural cleanser which helps rinse the mouth clean. Oh Bowl is a registered trademark and is going through patent application.